What examination or tests should be done routinely before providing a method of contraception? 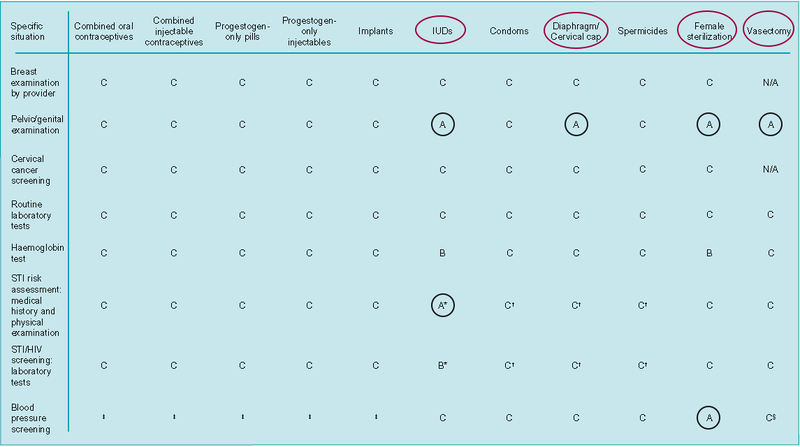 The class relates to examination or tests for safe initiation of a contraceptive method. They are not intended to address the appropriateness of these examinations or tests in other circumstances.